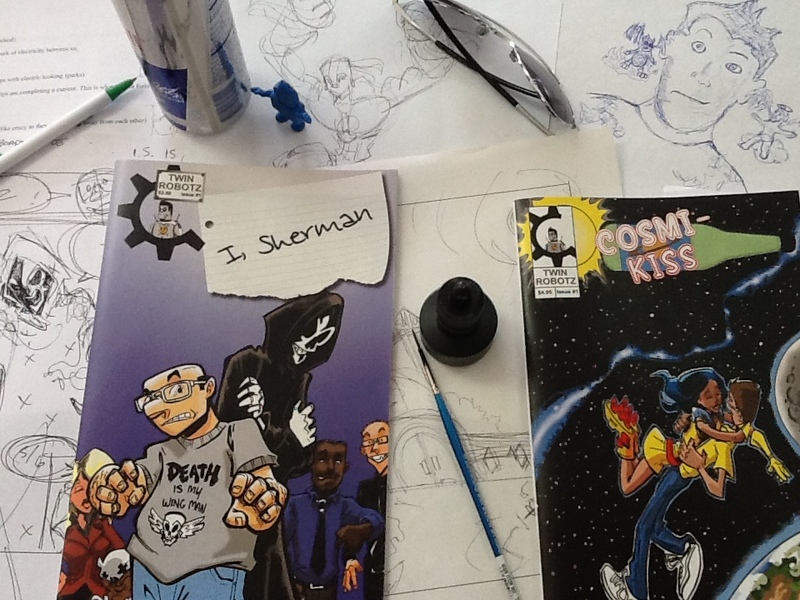 Welcome to Twin Robotz Comics.com, your home on the Internet for all things "I,Sherman", "Cosmi-kiss" and any other projects from the mind of Wally Czyzniak. Feel free to browse around, check out some sweet merchandise in our comic store, look at some great preview pages of published and upcoming work, or sit back and read some rumblings in the daily updated blog. Thanks for stopping by. TWIN ROBOTZ COMIC DOWNLOADZ here!